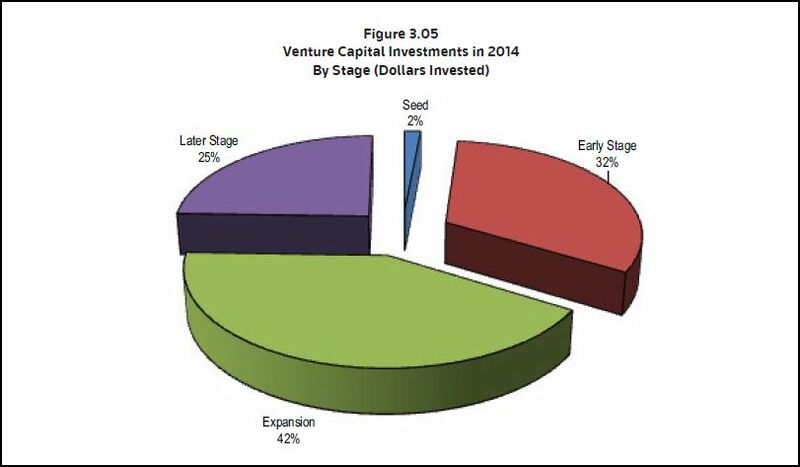 Pre-IPO stock investments are fundamentally a very late stage VC funding investment. These types of investments offer all of the difficulties of evaluating a private security but are also potentially a gold mine. Being able to invest in a company a year or two before it goes public can reap large returns for a savvy investor. Why would a shareholder of a successful pre-IPO company want to part with his/her shares? Usually the shareholders looking to sell are some of the major employees looking to cash in after several years sitting on their Stock Options or the company needs to raise some further cash and is issuing new equity. This practice is becoming more popular, there are 78 companies that have used this form of finance that are worth at least $1 billion each, also known as Unicorns in VC talk. That is a sharp increase from a year ago when there were 49 companies. As with all privately held securities the biggest problem is establishing a value per share. The founders or current shareholders are going to adjust the true value of their company to the upside for the intrinsic potential value held in its business. This can create some risk as the real price at IPO may be well below the company’s estimate Pre-IPO, even with an extremely successful firm. Having access to the company’s audited records is a must, as we will be able to see the cash value of the company. But that only tells us part of the story, is the auditor a well-known firm? Ideally you should have details of people at the auditing firm you can contact. These people may give you a better feel of how cooperative their counterparts at the company were. Any signs of frustration from the auditor are signs of concern. You must have precise details about the offering. Most are not registered but in that case they should be exempt. If they have neither a registration nor an exemption the offering is illegal. You should always check with the State Regulator as to whether they have information about this company. You can also check with SEC’s public reference room as to whether the company has filed a registration under form A or an exemption under form D.
You also need to know if there are any restrictions on the stock, some firms don’t allow for the sale of Pre-IPO shares for a number of months. What if the company does not make it to the IPO stage, how do you liquidate your investment under this circumstance? You need to check the management background, who are the people running the company? Do they have a profitable track record? Have they been involved in administrative claims or infringed any securities laws? Again the State Regulator may have information if there has been any fraudulent behavior by anyone on the management team. For younger start-ups you really need to get to know their product and business model. Do they have a viable business plan? Does the product have the potential the managers are pitching? Does the company have all the infrastructure, plant, offices etc. that it claims to have? Get ready to be in this type of investment for more than you initially planned, some companies change their mind as to when to go public. Management may do this in the belief that they will reap higher benefits if they wait longer to take the company public. And the trend is growing, Amazon went public just two years after its first round of financing, whilst Uber Technologies still remains private 6 years after raising $1.2 billion, with a current valuation of $40 billion. Of course this means more revenue for Pre-IPO shareholders, but also less liquidity and a longer investment horizon than originally forecast. Average time to IPO for VC backed firms has risen from 3 years in 1999 to 7.5 years in 2014. The chart below shows the steady increase in average years to exit for VC backed firms since 1999. This market has traditionally been a part of the Private Equity market, where P.E. funds access late stage funding as they have the network and the resources to find the deals that are most likely to have outstanding returns. You’re most likely to get access to them from your investment advisor or through your banker. There is also information available from P.E. information vendors like PALICO, membership is free and it has a community of over 20,000 Private Equity professionals. One Asset management firm that specializes in Pre-IPO deals is Renaissance Capital this firm has set up two ETF IPO funds that allow investors to gain exposure to the Pre-IPO market in the USA (NYSE:IPO) and globally (NYSE:IPOS). They also have an open end Mutual fund for global IPOs. This is a great way to gain access to the Pre-IPO market but maintain liquidity thanks to the publicly quoted securitization. Another way to access the Pre-IPO market is through online Pre-IPO fund raisers like Sharespost. This platform is involved in the process of buying and selling privately held shares. They help keeping the transaction as transparent as possible. They also have a fund that invests in Pre-IPO companies, Sharepost 100 fund which was set up March 25, 2014. This fund is open to accredited and non-accredited investors alike. The minimum investment is $2,500 with a quarterly redemption schedule which creates some liquidity. Some of the fund’s investments include Kabam which is an on-line video game maker or Lookout a mobile phone security app. The fund has had a cumulative return of 25.7% since inception as of September 30, 2015.